Ian Desmond is one of the last remnants of a by-gone era that was an important part of my sporting world. He is one of few remaining players connected to the Montreal Expos. He was drafted in 2004, and moved with the team to Washington D.C. and worked his way through the system, making his debut in September 2009. He had a great start to his career, with 6 hits and 4 rbi in his first 2 games. He would finish with a .280 average, 4 home runs and 12 rbi in 21 games. Over the next 6 seasons for the Nationals, Desmond would play in over 130 games each year, three times hitting more than 20 home runs and stealing more than 20 bases. He won 3 Silver Slugger awards as a shortstop and went to an All-Star game. 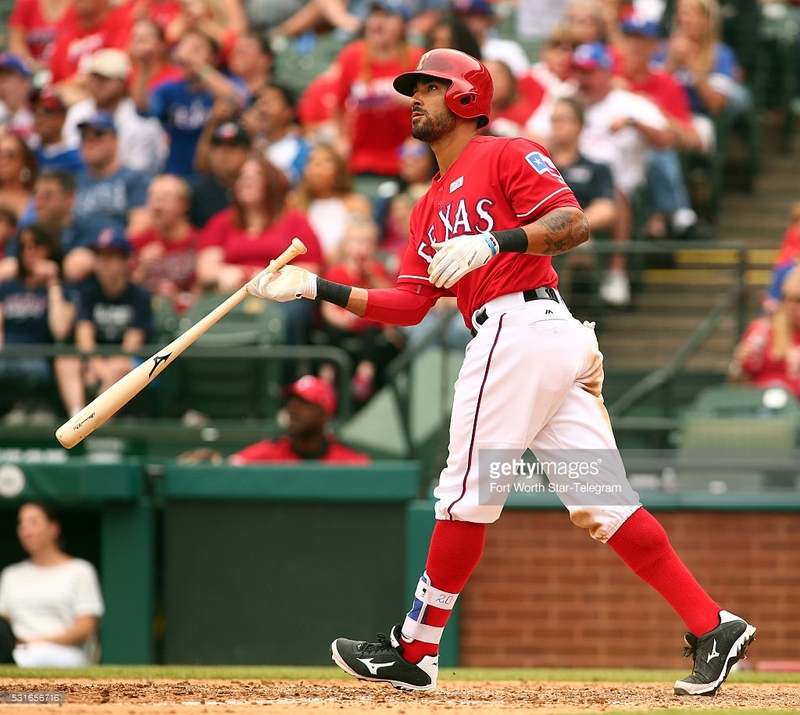 But last off-season, he left Washington and signed as a free agent with the Texas Rangers. This year, he again returned the the All-Star game this time as a center fielder. This year, Desmond got to play in the All-Star game. He has joined a Rangers team that is poised to make the playoffs for the second straight season and the 4th time in seven seasons. I am excited for playoff baseball to get here. 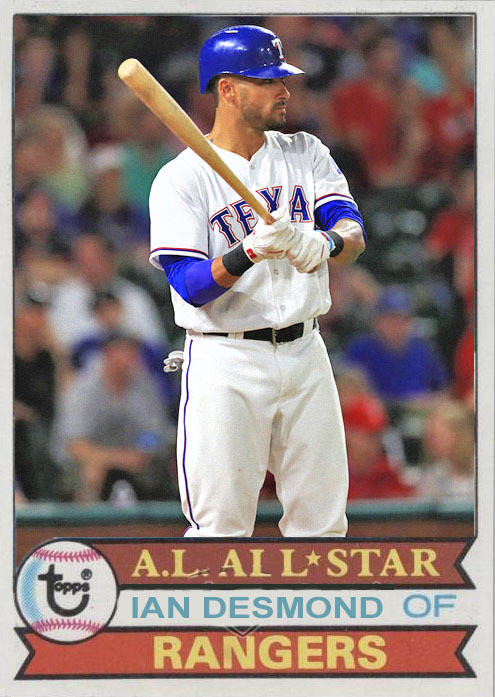 This season, Desmond played in his first career All-Star game. Looks like he’ll see the post-season, too. He is playing with God as his top priority. 1- No Time for That – Desmond grew up in a Catholic family and knew about God. But when it came to baseball, God went to the back burner. Baseball was most important in Desmond’s life. And when he turned professional, his work on his game and his physical skills became even more consuming – so much so that invitations to chapel services were declined. Eventually, Desmond would chose to follow God and make him the number one priority in his life. What I like about this story is 1- that it is a lot like my story – I grew up attending church but did not really have time on interest in living for Him. But when I came to the decision that I needed to live for Him, He was still there and ready for him. When Desmond decided to put God first and seek Him, God was ready to meet with Ian and help him grow and see God’s goodness. He offers the same to each of us as well. No matter how often or how strongly we turn away from God and put other things ahead of Him, when we do choose to turn to Him, He is there to meet us and welcome us to Him. 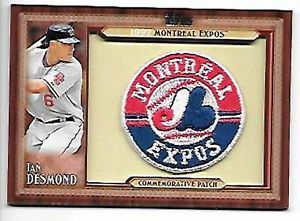 Desmond is one of a handful of current players connected to the Montreal Expos – My boyhood favorite team.